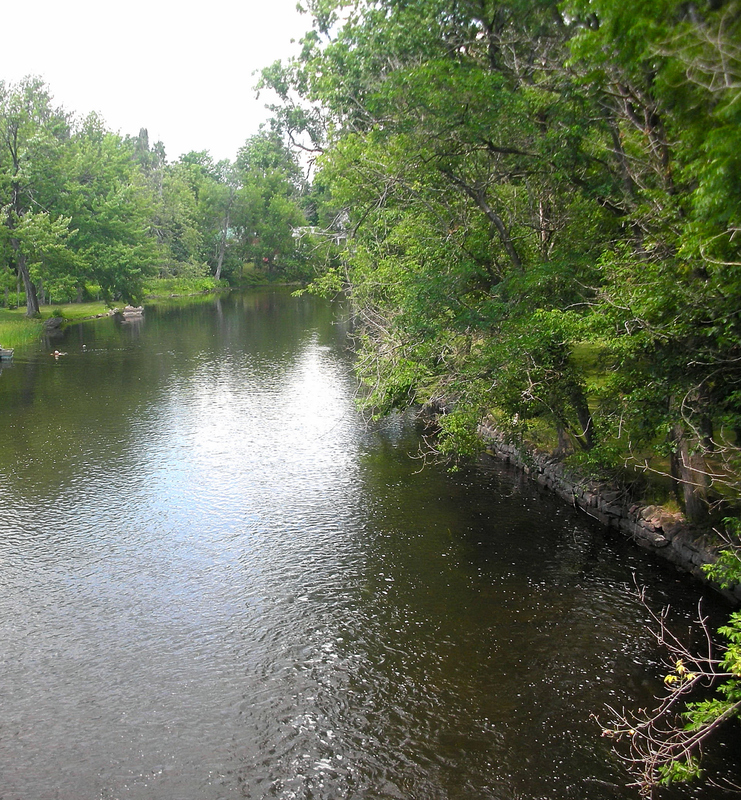 Hot, steamy days in July are the perfect companion for a cool, clear river like the Tay in Perth, Ontario. The branches overhead, full with their summer coat of fluttering leaves, sweep the cool breezes down toward the water. The mid-day sun overhead beats down on us, radiating the full force of the season, but it’s no match for the surging waters as the currents pull us playfully along into deeper, colder bends in the river. A bird swoops down for a drink, reminding us that we’re not the only ones enjoying the water today. Dragonflys dodge and chase invisible prey as they change lanes again and again on the long green highway. A dog walks along the bridge overhead, panting in the summer heat, gazing down at the water with envy and disappointment as his master leads him away from the water. All of our cares drift away as the river makes us weightless and we float along, cool and carefree, oblivious to the heat of the sun or the news of the day. This entry was posted in Short Stories and tagged Ontario, Perth, Tay River.